Happy 17th of the month!!! This is the date every month where I come to you with card making inspiration and to remind you to check the SISTAHS!!! Early detection is key to surviving Breast Cancer!!! 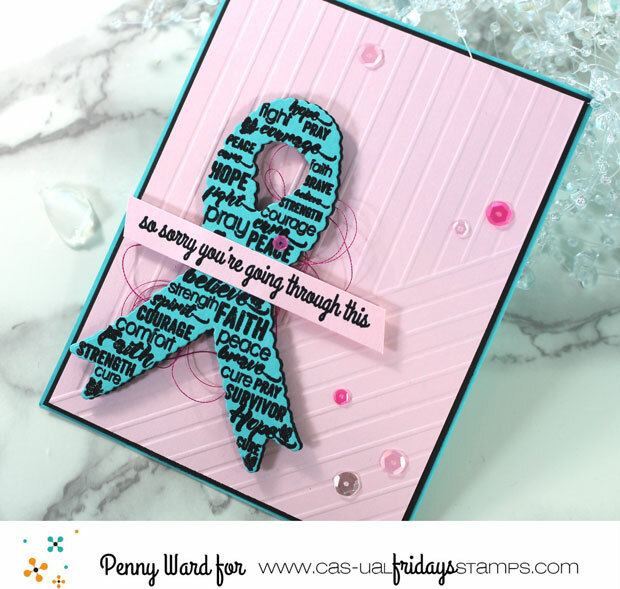 Each month on the 17th, the designers get together on the Calling All Sistahs blog to bring you new ideas for using your stamps and dies. Then, the next day (tomorrow), there will be an inspiration photo for you to play along in our challenge. The great folks at CAS-ual Friday's award a $25 gift certificate to the randomly drawn winner...and, if that person used CAS-ual Friday's products on their creation, the prize amount is DOUBLED!!! Do you have a good old scoring board? I would be lost without mine...I LOVE it! As you can see I did some straight line scoring, as well as diagonal. 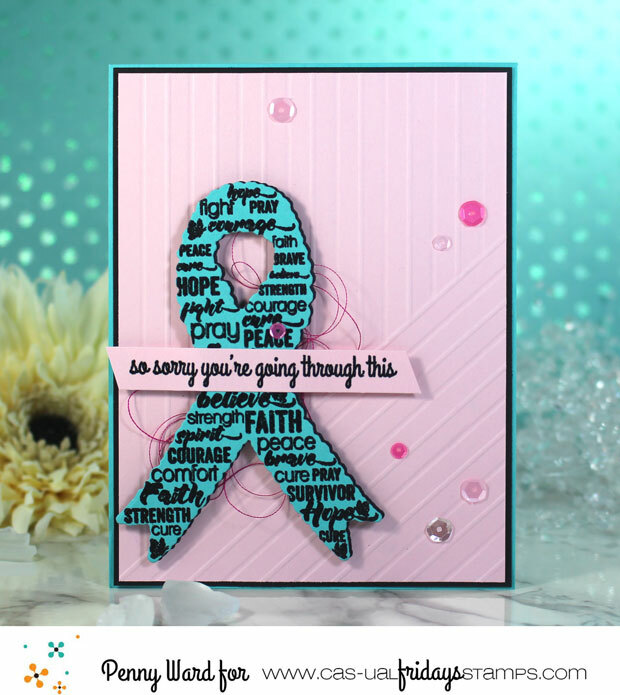 Added a stamped/die cut Hope Ribbon, a sentiment and some sparkly stuff. Do you know someone going through it right now? Check yourself monthly and a Mammogram yearly if you are over 40 years old. The scoring on your card looks amazing! I love that you used both diagonal and vertical lines, and your pop of teal is dreamy. Thank you for the beautiful reminder this month, Penny!